Stunning new Rega RP8 record spinner! A few weeks ago Rob from Rega brought in a sample of Rega's new flagship turntable, the amazing RP8. This remarkable product is a no compromise design incorporating all the lessons learned over 40 years of turntable design and manufacture. Rega have always done things their way rather than following any trends and every aspect of this fantastic record player has been subjected to detailed and thorough design and testing, based on sound engineering principles. It sounded stunning on the selection of prized old vinyl I brought for Rob to play to me. Even albums I thought I knew inside out after decades of ownership revealed levels of detail I'd never heard previously. 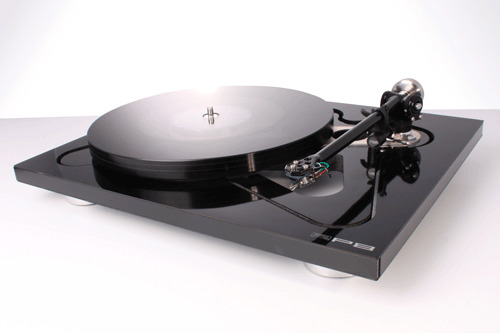 Rega is delighted to announce the launch of the much awaited RP8 turntable. A turntable which takes Rega’s design philosophy further than ever before. A radical new plinth using custom designed materials, a new tonearm bearing assembly, 24v low volt-age motor controlled by a hand tuned electronic power supply and a custom version of our Planar 9 engineered hub bearing assembly. These are just some of the features of this amazing new turntable designed to extract more music from your vinyl than ever before. I'm delighted to say that we now have our own demonstration RP8 available for you to listen to. Give us a call to arrange a demonstration and bring in a few of your favourite LPs and prepare to give your ears a treat!